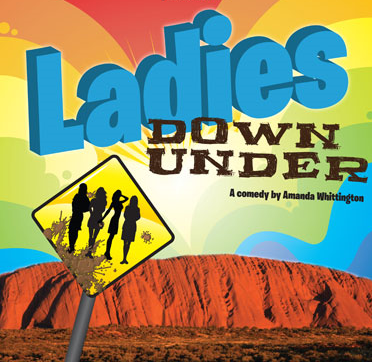 After the success of their first production 'Flint Street Nativity' at The Acorn Theatre, TaylorMade Productions present Ladies Down Under by Amanda Whittington. It is a funny heart warming sequel to her enormously successful comedy play Ladies’ Day. The story takes the four work mates from the Hull fish factory, on the trip of a lifetime Down Under. After they've won a fortune at the races- Pearl, Shelley, Jan and Linda are celebrating by visiting Australia. Their adventures take in Surfer’s Paradise and Uluru (Ayers Rock), on their journey meeting several hilarious characters. Shelley dreams of luxury and glamour, whilst the rest of the gang go native and camp out under the stars. Jan tries to rekindle her relationship with Joe, Linda comes to terms with her good fortune and Pearl finds she has her own mountain to climb.